Who am I? Online, people know me by the name Light Lux Collie, I am a freelance artist, cartoonist, and creator of Saber Collie Studios. My entire life I've had a passion for art and entertainment, especially cartoons. I've dedicated this website to creating fun and unique cartoon illustrations, webcomics, illustrated stories and more. A weekly comic strip updating every Wednesday. 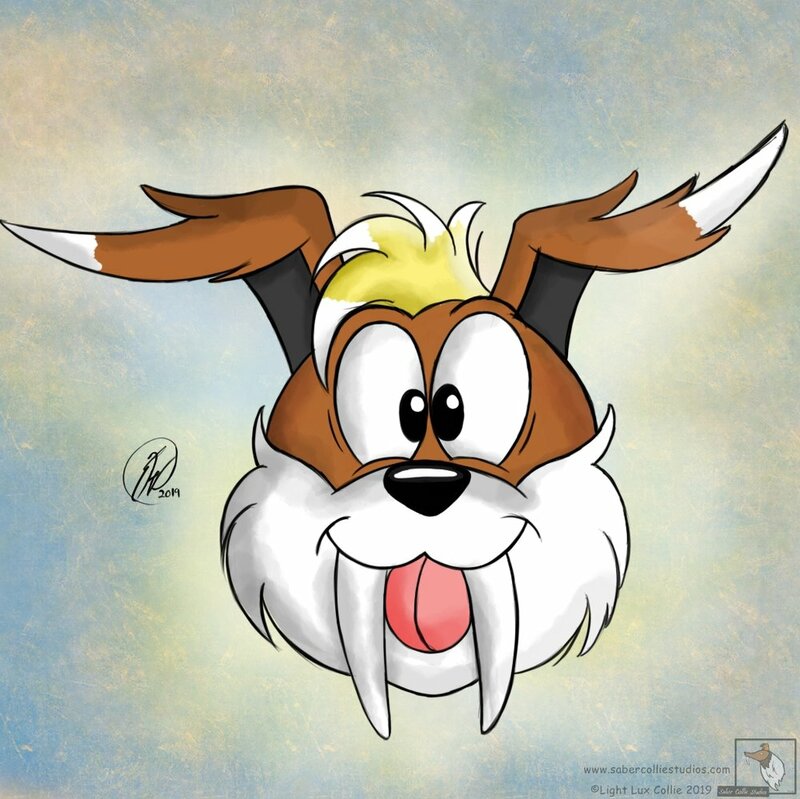 Comic-Comic features the laugh out loud antics of an oblivious Saber-tooth Collie (That's me!) and his disgruntled Coyote best friend. Follow them as they learn to live with each other, along with the many other growing characters that enter their lives. A brand new web-comic series by Light Lux Collie. Denatured follows the story of young Flynn Fletcher. A high school junior and football athlete who's life is turned upside down when the spirit of a wolf chooses to inhabit his body. As a result Flynn is transformed into an anthropomorphic wolf girl, who also happens to be an excellent cheerleader. Now Flynn, (or Faye as he is now known) must learn to live with her new life. As if high school wasn't already hard enough. ...Oh, and did I mention that she must also learn how to control her new abilities in order to defeat an ancient evil before it can destroy the world. Find out more when you follow Denatured, a humorous, slice of life, action packed adventure unlike anything you've ever seen before. Updates on Mondays. I am happy to say that Saber Collie Studios is currently home to two online web-comics with more content in it's growing future. These Comics are available for free but I can always use your help to keep them going. If you like what I do and would like to see more, consider becoming a supporter on Patreon, or you can donate via Ko-Fi. If you like my art and would like to connect with me online, feel free to follow me on social media using the links located at the top and bottom of this page. I also encourage you to subscribe to my newsletter. There you will get access to weekly updates, news, product discounts, and more. Join the sabercollie family and receive our weekly news letter, which includes product discounts, content updates, and more.